While scientists and engineers at the U.S. Geological Survey’s EROS Data Center, just north of Sioux Falls, South Dakota , collect satellite imagery to document Earth’s natural disasters, they sometimes enjoy the images for their aesthetic beauty as well. The scientists select about 40 of these images for a special exhibit, called “Earth as Art,” at the Library of Congress. The exhibit is now in its third incarnation, and the latest prints just recently arrived in Washington, D.C. to begin their one-year stint on display. All of the Earth as Art images are available at the link above, and can be downloaded for personal or commercial use. According to Dirk Lammers from the Assicoated Press, some of the images have made it into German coffee table books and neckties. The Architecture department at the University of Oregon has developed two useful interactive mapping tools of Rome. 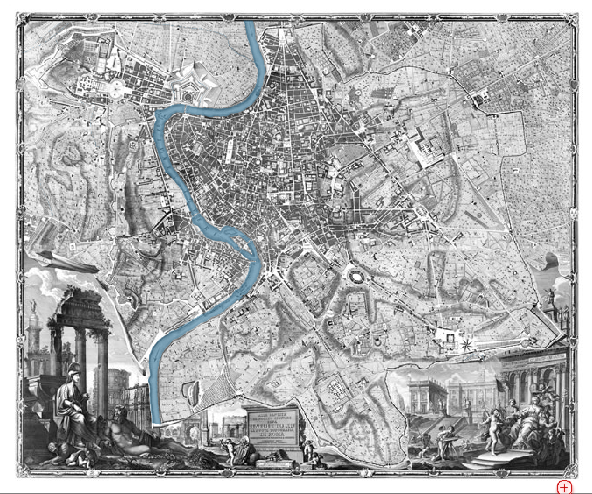 The first, the interactive Nolli map of Rome, is a digitization of the 1748 map of Rome by Giambattista Nolli. This map is regarded by scholars as one of the most important historical documents of the city, and through the work of the University of Oregon the public now has access to this work. Users can zoom in and out, as well as add layers such as gardens, pathways, and fountains. The second project is Imago Urbis: Giuseppe Vasi’s Grand Tour of Rome, which integrates the Nolli map with the work of Nolli’s contemporary, Giuseppe Vasi (1710-1782). Vasi’s detailed documentation of Rome’s buildings and monuments established him as one of the city’s greatest topographers. 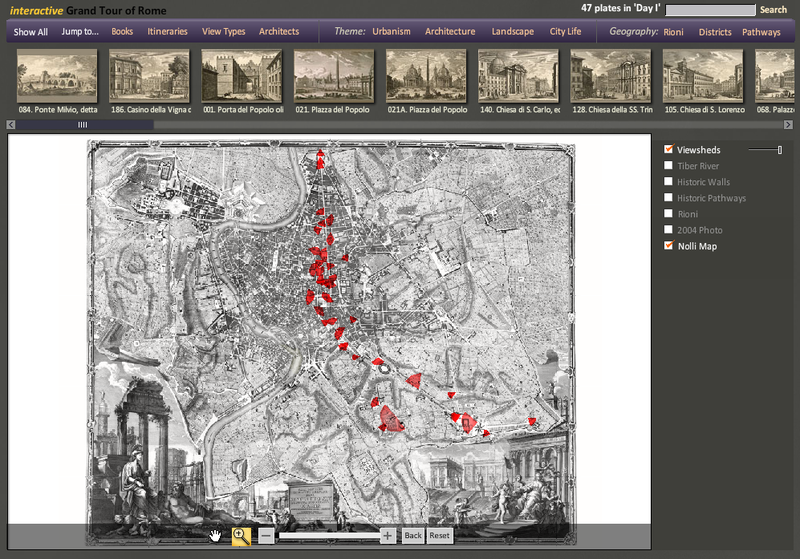 With this tool users can view Nolli’s map and Vasi’s plates simultaneously, making it easier to imagine Rome in the 18th century. Plates are grouped into 8 days of an itinerary, making the grand tour of Rome accessible from your couch.